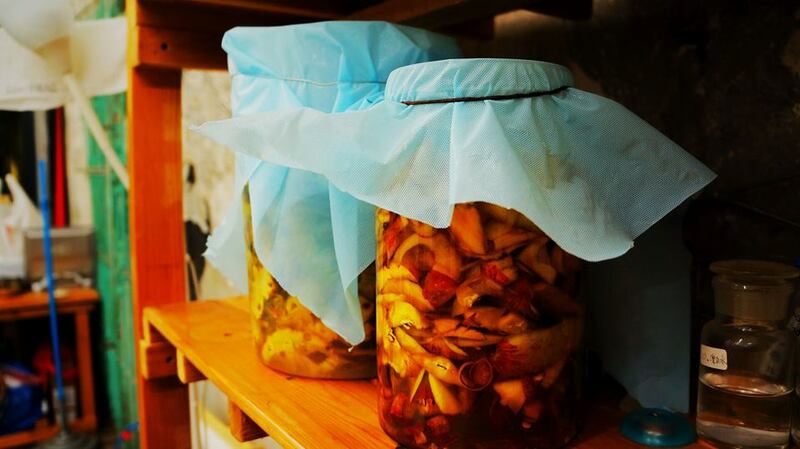 To participate in the workshop no prior knowledge of fermentation or special equipment is needed. The participants are ought to bring just a big jar with lid, cutting board, knife and if possible some food scraps as apple peels and cores or greens of vegetables eg. radish greens. The workshop is a part of Pixelache's Ferment Lab project http://pixelache.ac/projects/ferment-lab. Agnieszka Pokrywka (PL/FI) by education is a filmmaker, interaction designer, art critic and physicist. By practice, she is a graphic designer, researcher and cultural organizer. By heart, she is a multimedia explorer interested in participatory, collaborative and open source practices. Currently, in collaboration with John W.Fail, she works on Biathlon, a toolkit for cultural production supported throughout the year by the Kone Foundation. In her free time she experiments with bacteria whether preparing food, cleaning or fortunetelling.